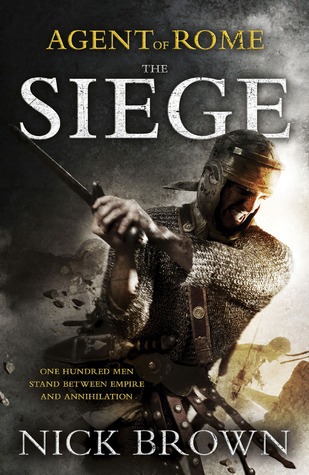 ‘The Siege’ (2010) is the engaging and lively opening of a series of novels set in the crisis of the 3rd Century CE, during which Palmyra broke away from the Roman Empire. 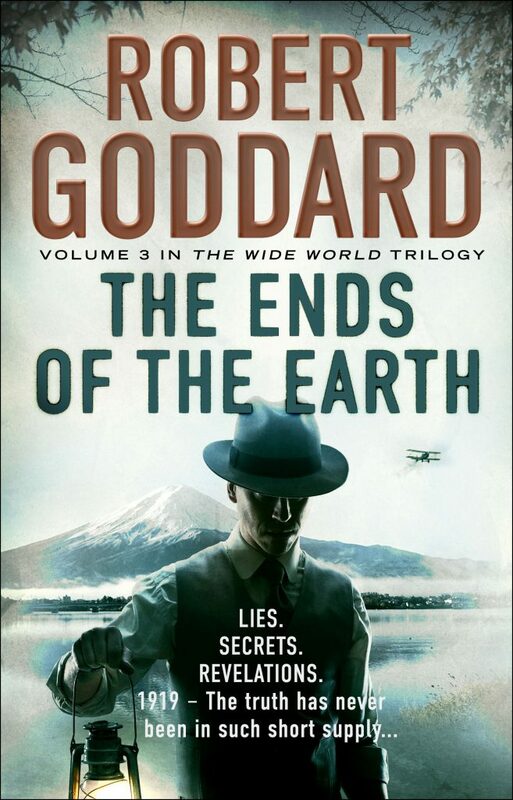 I wanted to read and review it partially because the setting was intrinsically interesting to me, and partly because it’s a great example of a debut from a writer with similar interests, background and style to mine. I wanted to grow as a writer and learn more about what it takes to become (whisper it) published. My first impressions of the physical book (a glance at the cover and a scan of the blurb) were that it immediately seemed somewhat solider and more substantive than the average sword & sandals fare which clutters many a bookshop’s shelf, the cover iconography of which invariably features eagles, helmet crests, SPQR and hyperbole. The cover and the title of ‘The Siege’ are tonally very different from this norm – they speak of grit rather than glamour, reality rather than rhetoric – so my hopes were high. Happily, this early optimism was borne out by the quality, pace and style of the writing within. Detail follows obviously, but in summary, Brown writes as fluidly and entertainingly as, say, Cornwell in his Uthred of Bebbenburg phase, just without the twenty year apprenticeship churning out sub-par boddice-rippers with titles like ‘Sharpe’s Revenge’. That this is a first novel is really very impressive. The story is pretty much all action, with the tension building relentlessly from the first chapter. And the action is breathlessly told, but without the glorying in viscera which can blight this genre. That said, there are also plenty of opportunities for the characters to be explored and fleshed out. When you read a weak book of this type, you can reach the end with only the sketchiest ability to differentiate between the main protagonists. Here, to pick an example from many, the embittered and vindictively violent NCO – so often a trope – became elevated through the writing to a real person. When Strabo [SPOILER KLAXON] eventually succumbs to his inevitable death-in-pursuit-of-vengeance, it’s an affecting moment. It’s tempting as a writer to imbue a book’s hero with the ability to solve problems, to be the fulcrum around which key actions pivot, but Brown has elected to create an altogether quieter, less self-assured character in the form of ‘Centurion’ Cassius Corbulo. In fact, he is acutely aware of his shortcomings in experience, gravitas and physicality and spends most of the book in a state of rising panic about being ‘found out’. This is a brave decision for an author to take, as it makes the task of connecting with the character less straightforward for the average reader. It worked though – I found myself believing in Cassius as a human, because of his fragility and uncertainty. It also affords the author greater creativity, I think. He has freed himself from the safety net of having the hero save the day through sheer force of his brilliance and has to generate a more complex, tricksier resolution to each plot twist. I also really enjoyed the minor authorial touches which have been skilfully applied and which made the story much more authentic. For example, we all know that in the pre-Pasteur world, lives were nasty, brutish and short and disease and disability rife. However, this is an inconvenient, dull historic fact that is usually glossed over in books set in the distant past. Not so here. In ‘The Siege’, one character is clearly dying of lung cancer, although is oblivious to the cause of his ailment. Another has some kind of unspecified mental impairment. These medical conditions are not opportunistically inserted plot points. They serve no narrative purpose. They’re in there because that’s what it would have been like. A similar example of the writer’s craft which Brown applies adroitly is the way in which he uses incidental description to draw a mental picture for the reader, gestures and postures deftly described so that the scene comes to life in the reader’s mind. Equally, sparing use is made of quotations from writers and poets whose epithets would have been the cliches of the time and constantly in people’s mouths. It’s all very convincing. Likewise, the inclusion of details from the period – e.g. the way in which the colour purple was made from the excretions of snails – is never clumsily handled and doesn’t come across as the superfluous imparting of facts from an historian. For an author to ignore the fact that the past was ‘another country’ and focus only on the story is really just historical fiction tourism: the utilising of the past for colour and interest with little genuine interest in how it must shape the story. It’s difficult to get right, hence why many don’t bother – first you have to do the research, then you need to weave relevant details in without being preachy or dry. Brown achieves this, which is why ‘The Siege’ is, for me, proper historical fiction. The story doesn’t just happen to occupy a picturesque and easily-parsed corner of the past (e.g. ‘the roaring twenties’), it inhabits its period and could not take place anywhen else. So, safe to say that I really enjoyed it and will make haste in the direction of Agent of Rome #2. The final couple of pages are taken up with Acknowledgements, in which Brown hints at the long journey this book took to publication, the countless hours of redrafting and seeking feedback from anyone who would give it. It’s a reminder that success is the product of talent multiplied by effort, and that a book of this quality only became so incrementally – a very useful lesson on which to end. As a keen consumer of history books, both fiction and non, I’ve bought a few of Holland’s works now. On each occasion I’ve stood at the book shop till, hope having narrowly triumphed over experience. They promise, and largely deliver, an insider’s guide to the received narrative of the ancient past, knitting together the stories with the author’s take on the psychology of the participants and using his expansive knowledge of the sources to bring dusty or dislocated accounts into a sharp, modern focus. Holland is a gifted historian and an adroit wielder of words. However, there’s a chance you may find his style deeply annoying, or at the very least unhelpfully abstruse. I certainly do. Almost every paragraph is linked inextricably to the last, meaning that if you’re the type of person who typically reads a couple of pages in bed each night, you’d better have a superb memory for the nuances of what you read 24 hours ago… or start the chapter again. What I mean is that you can’t just start reading where you left off – you need to trace back the ideas and references being made, often quite a long way. Seriously, there can be pages and pages of inter-related prose which cannot be deciphered easily without finding the beginning. I swear I read the same three page section on some dastardly palace plot in Caligula’s reign five or six times before I could divine what was going on. 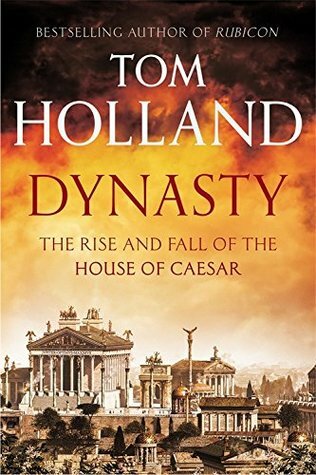 Secondly, there is an assumption that the reader has a fair bit of knowledge of classical Rome – the main stories and characters – to the extent to which Holland feels able (freed?) to ignore some of the obvious plot points in all but inference. Some readers will be baffled by what’s going on and will object to the absence of the standard stories, but others will relish the opportunity to explore beyond the well-trodden paths. If you can devote solid hours of reading to this book, it will reward you in turn, but as a time-poor casual reader, I found it a somewhat alienating slog. Other opinions are available, clearly. 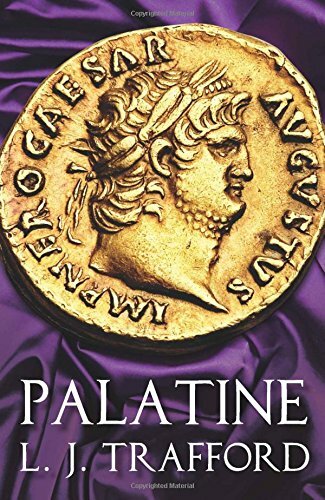 LJ Trafford’s ‘Palatine’ is the first in a series of historical novels giving the author’s take on one of the most momentous years in the Roman Empire – 69 AD – a year in which saw no fewer than 4 emperors. This book covers the events which led to the chaos of 69: Nero’s unwinding and eventual suicide and the interregnum of his Praetorian prefect Sabinus. As someone who is relatively familiar with the events, I must say that I enjoyed seeing them given flesh and blood (and there’s a fair bit of both). The year of the four emperors is a potentially confusing, fast-moving historical episode with a bewildering cast of intriguers and king-makers, and the novel does a good job of telling the story at human rather than political scale. Trafford’s skill at characterisation is part of this success – the effete male concubine Sporus (described by the author as ‘part-time Empress’), the nervous and conflicted scribe Philo, and the savvy, survivalist Epaphroditus all being good examples of this. Her evident knowledge of and love for the period shine through as well. The world she describes has clearly lived inside her head for many years prior to making it onto the page. Some historical novels can be burdened by the weight of their realism – the author’s need to describe every nuance of culture, practice, technology and domestic reality of the time. Trafford dances past this common pitfall, providing enough detail to draw the reader into a different world, but avoiding the temptation to over-describe. The result is that the story feels modern and believable, rather than preserved in aspic for its historical rather than dramatic interest. What didn’t I like? The pace with which the story unfolded was at times more languorous than urgent. The pages turned rapidly enough, but it felt that there were stretches where the story advanced only incrementally. Apart from that, I have only minor, stylistic and prudish quibbles. On the former, some of the language put into characters’ mouths was anachronistic (though I’m sure ancient equivalents existed), and this brought down the fourth-wall somewhat. On the latter, there were a few too many descriptions of a sexual and scatological nature for my tastes. This is entirely a personal preference – it is accurate to represent imperial Rome as being both filthy and rife with sexual exploits and exploitation, I’d just rather ‘take it as read’. I suppose it depends on what you have approached this novel wanting to see! As you would expect in the opening title of a series, the book ends with many, many storylines only temporarily at rest, and the reader is left in no doubt that the next instalment, ‘Galba’s Men’, will be as eventful as the first. I’m looking forward to reading it. I bought this book because I wanted to see what modern concepts of ‘good’ historical fiction looked like – it won the Walter Scott prize in June 2016, so someone must have been impressed. I have to say, if this is where the genre has got to, there is yet room for improvement. 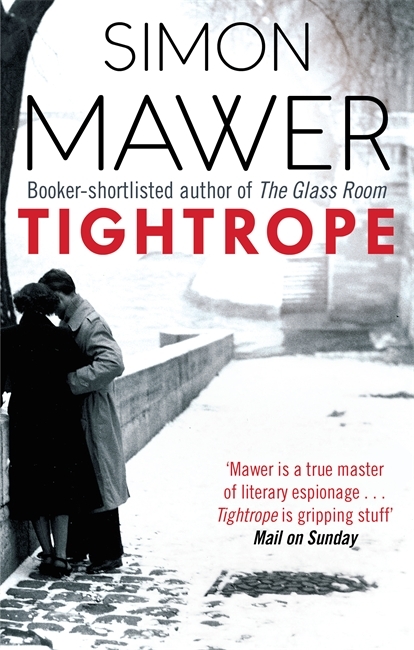 However, I should caveat this review with the fact that I have not read the novel which precedes Tightrope and introduces the character of Marian Sutro. I don’t think that should preclude either having a valid opinion or being able to enjoy the book as a stand-alone work though. First impressions weren’t good – the cover of my edition was a photo of a woman and a man stood (somewhere? Not clear – possibly next to the Seine) with their backs to the camera, meant to imply a world of espionage and intrigue. I didn’t think it succeeded. I am capable of appreciating subtlety, silences and stares – good grief, I’ve even been known to enjoy the odd Brecht play – but I do think there’s a balance to be struck in thriller writing between introspective character development and, you know, pace. For my tastes, Mawer does not achieve this. There’s just far too much focus on internal angst, longing and bed-hopping. The author is forced to reach back into characters’ histories for most of what counts as ‘action’ in the narrative and maddeningly ducks the main opportunities his story line offers by letting the camera drift off into some other corner at key points. Overall, I guess what I am describing is a lack of any real sense of jeopardy (not helped by the book’s opening scene featuring Sutro as an old woman). Then there’s his writing style: I enjoy a good simile as much as the next man, but it’s easy to over-dose on them if they are an author’s go-to rhetorical device. I wonder if Simon at any point thought of hitting CTRL+F and typing the word ‘like’? It would have returned a high number! This probably says as much about my maturity as a reader as it does about the quality of the material, but I tried very hard to enjoy Tightrope without feeling that the book was putting in the same effort, an the unequal division of labour which would cause any relationship to founder.